Your thermostat is relatively small and easy to forget about. But the right thermostat can really make a huge difference in the performance of your home comfort system and in the amount of money it costs to run. That is why Millie’s Heating & Air Conditioning is proud to offer a great selection of thermostats and thermostat installation services in Mclean and the surrounding area. We will help you pick out just the right thermostat for your home, and we will have it in place for you before you know it. One thing you might not realize is that your thermostat is basically your HVAC system’s eyes and ears. It is where you put in information about how you want your HVAC system to respond to the temperature and other conditions in your home, and it gathers information about those conditions and relays it to the HVAC system on a regular basis. Thinking about it that way makes it easier to see how the right thermostat can make all of the difference in your home and on your monthly energy bills. The better your thermostat is at detecting humidity and temperature levels in your home, the more appropriate your HVAC system’s response to those changes will be. And the more closely you can pinpoint your ideal conditions, the more energy efficient your entire system will be. The thermostat that is right for you will be the one that gives you the level of control you are comfortable with. You do not need to invest in a top of the line model if you are never going to take advantage of all of its features. You also want a thermostat that will be easily integrated into your existing HVAC system. Our professionals will help you sort through all of this to find the thermostat that suits your needs and will work best in your home. Because so much of the way your home HVAC system works depends on proper thermostat functioning, it is important to have it installed by an experienced professional. Millie’s technicians know all about thermostat installation and can have your new thermostat integrated into your existing HVAC system before you know it. Or we can add in a new thermostat as part of a new HVAC installation project. 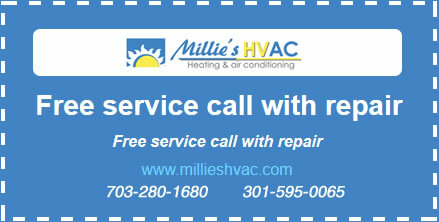 So no matter what your thermostat needs are, be sure to contact Millie’s today.